DURING winter people often go back to bad eating habit and lazy days spent on the couch. But the cold weather shouldn’t put a stop to your health and lifestyle. Next time you grab your daily cup of coffee, hot choc­olate or energy drink consid­er swapping it for a healthier alternative. Now people have the op­tion of making cold pressed juice in the comfort of their own home. 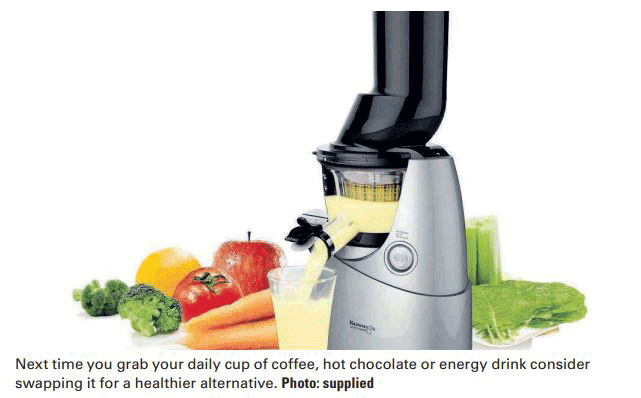 Kuvings Australia have released the first Whole Slow Juicer in the World. So what’s the difference between traditional juice and cold pressed juice? Unlike other high speed juicers whose fast operat­ ing blades cause heat and friction, the Kuvings slow speed method makes better tasting juice, keeping vita­ mins intact. Drinking cold pressed juices is an effective and sim­ ple technique to ensure peo­ple digest nutrient packed juice that helps maintain a strong immune system and boosts energy levels. 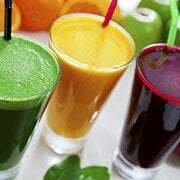 The cold press juicer can use fruit and vegetables with a single auger to limit oxida­tion and minimise separa­tion in juice.